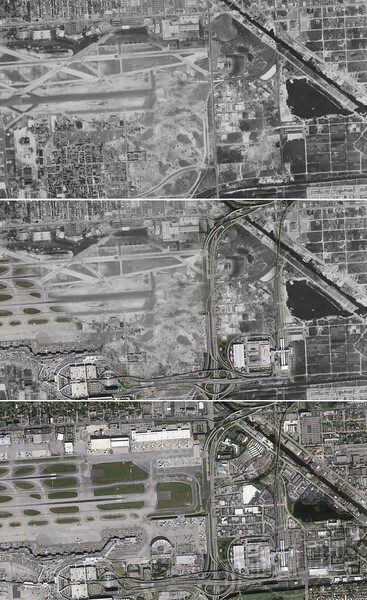 An interesting comparison of 1952 and 2016 aerials illustrating the impact of expressways penetrating through various Miami neighborhoods and districts. Orange Bowl In 1952, the Orange Bowl was only 15 years old. 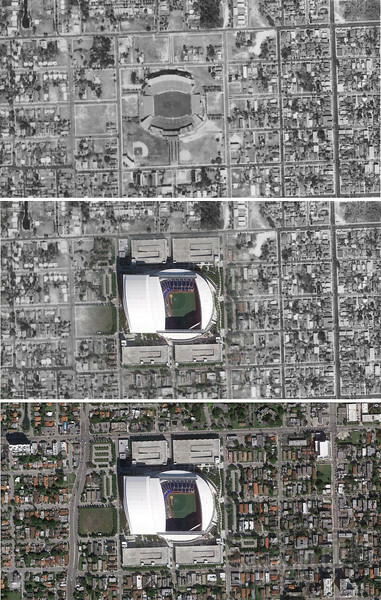 After 78 years in existence, the Orange Bowl was demolished in 2008 and replaced with Marlins Park. Marlins Park is the home of Major League Baseball’s Miami Marlins. Miami International Airport In 1952, the 36th Street Airport served as the city’s commercial airport and a home for the Air Force Reserve’s troop carrier and rescue squadrons. In 1959, a new modern passenger terminal was constructed and the Air Force units were relocated to Homestead Air Fore Base. Today, the Miami International Airport is one of the largest airline hubs in the country and largest gateway between the United States and Latin America. 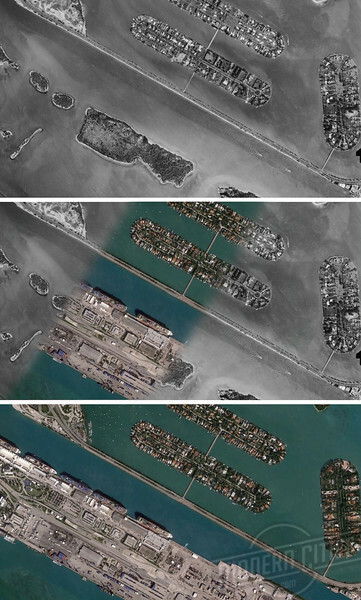 Port of Miami Dodge Island is an artificial island occupied by the Port of Miami. The island was created in the early 1900s during the dredging of Government Cut. During the 1960s, it ws combined with two other man-made islands, Lummus Island and Sam’s Island, to accommodate the port’s growth. Today, it is recognized as the “Cruise Capital of the World”.